Sociology of unintended consequences is commonly depicted as a framework for understanding the outcomes that run counter to the initial intentions of social actors because of factors such as ignorance, error and complexity. This conventional approach, however, is now undergoing change under the influence of more encompassing shifts in framing in social sciences. Indeed, in the last few years, the study of the unintended has evidently moved from the question "What are the sources of the unintended?" to the inquiry "What is it that makes the unintended possible?" or "What risks, but also opportunities, do the unintended entail?" 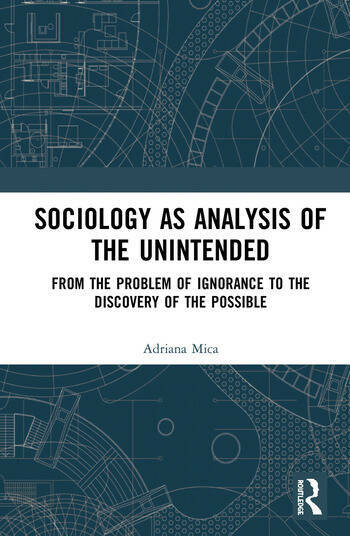 Explaining this puzzle in relation to the internal dynamics of sociology of unintended consequences, Adriana Mica makes an erudite journey in relation to its three main analytical frameworks, their semantic shifts, setbacks and theoretical revivals. Certainly, through the examination of the use of protective headgear in boxing, this volume renders explicitly the possibilistic turn not only in the specific research of the unintended, but in sociology more generally. Presenting the contributions of leading sociology theorists in a new light, Sociology as Analysis of the Unintended will appeal to graduate students and researchers interested in fields such as theoretical sociology, sociology of substantive issues and sociology of sport.